Is Reed gold mine in North Carolina haunted? Reed gold mine first started in 1803 and consisted of a small group of miners who worked open-cast to extract the gold. John Reed owned the land the mine was on before gold was discovered there and it was his son Conrad Reed who found the first chunk of gold, a 17 pound yellow rock which served as a door stop for three years until a jeweler saw it and told John to name his price, which happened to be $3.50 which John considered to be a decent amount, even thought the rock was worth around $3,500. In 1803 John began regular mining work on the site which consisted of placer mining which is a type of above ground only panning and washing method, and a 28 pound nugget was discovered on the site in its first year. 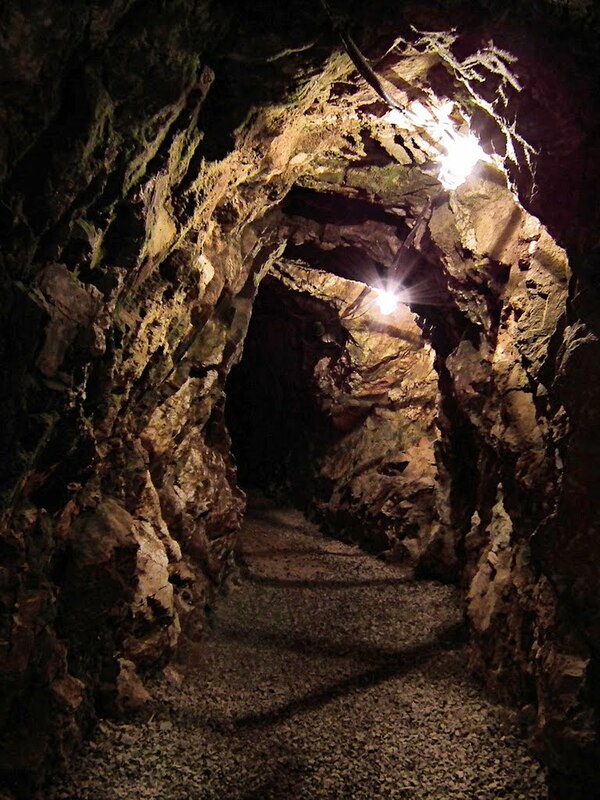 Underground mining began in 1831 and John died rich in 1845 from the gold found on his land. The mine stayed operational for many years until it finally closed in 1912. Today the mine is a state historic site and also open as a tourist attraction and holds tours were people can go several hundred feet into the mine to see the restored tunnels. As you can expect with mines this old accidents were certainly not uncommon and the Reed mine is no exception. In one of the lower levels three miners were killed during the excavation of some gold ore. During their digging they managed to tap into a pocket of poisonous gas. By the time they realized they were breathing the deadly fumes it was to late, and all three died there in the tunnel. Many people have been down the restored tunnels in the mine as part of their tour and there have been a great deal of people who have claimed to have seen a miner walking across the end of the tunnel they are in only to disappear into nothing. Below is a video clip of someone who was taking a tour of the tunnels and happened to be filming it. The argument is that the only people down the mine at the time were within the tour group and what appears on the clip was not seen with the bare eye. The other story that surrounds this place sounds alot more like a camp fire story than an actual haunting. The story goes that the Reeds next door neighbors had an argument that ended tragically one evening. The Reeds lived next door to Eugene and Eleanor Mills. One night the Mills were having a blazing row with each other when Eugene stormed down the stairs and out the front door, his wife tried to chase after him but fell down the stairs and broke her neck at the bottom, dying instantly, although this was not noticed by Eugene who had already stormed out the front door by this point. A few hours later when Eugene returned he found his wife quite clearly dead at the bottom of the stairs, but she was letting out a constantly and ghastly moaning noise. In his panic and a fear Eugene took her body and threw her down the Reed gold mine shaft. The body was never found but it is said that moaning noises could be heard from the mine when it was empty echoing up the shaft. This reportedly went on for a number of years until without explanation it stopped, never to be heard a single time ever again.